We have passed the halfway mark of the NFL season, and injuries are having an impact on many fantasy football teams. To help fantasy football players navigate these injuries, our very own Brandon Bowers, PT, DPT, is providing tips into which players should start and which players should sit. 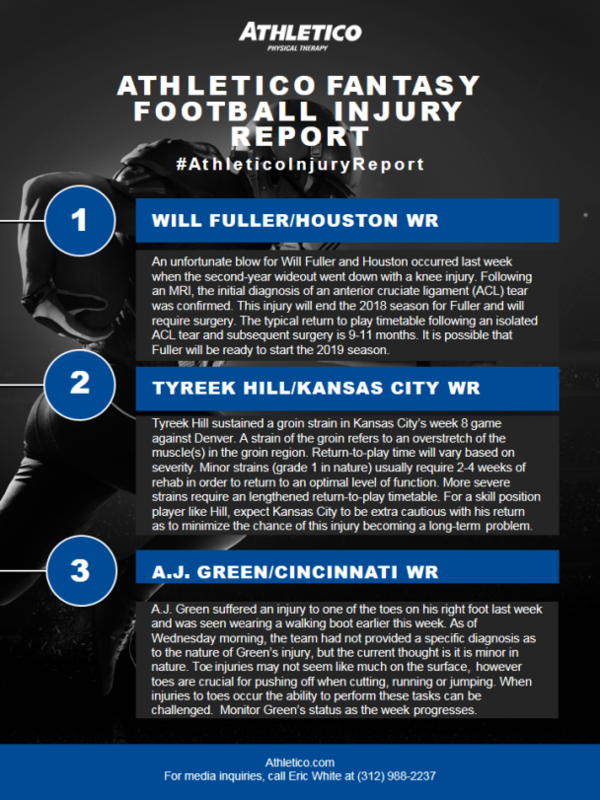 These tips are put together in the Athletico Fantasy Football Injury Report, which is shared weekly to help fantasy football players shape out their starting lineups.